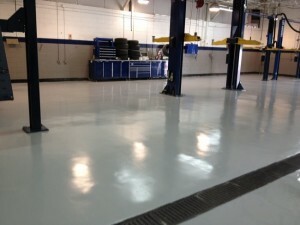 The history and reputation of the protective flooring products we apply prove that we take these resilient protective coatings to the extreme limits of endurance. At Carolina Coatings & Tile, Inc., we specialize in protective flooring installations which operate in the most rigorous environments, such as: restaurants, kitchens, auto shops, pharmaceutical plants, warehouses, retail spaces, etc. To learn more about our commercial flooring and protective coating solutions, contact Carolina Coatings & Tile, Inc. today! We look forward to working with you.